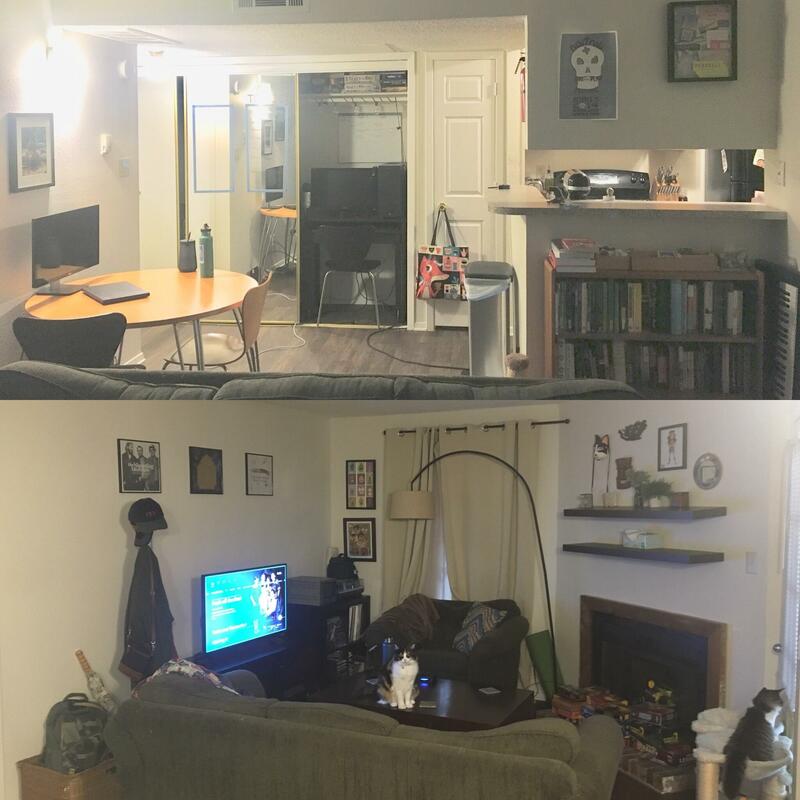 I’ve rented this 1 bedroom apt with my boyfriend and our cats for over a year, but am looking to improve our living space. It’s a rental and we’re broke, so we can’t do any major renovations. The front door is on the right side of the bookcase in the top picture and the patio door is on the right side of the fireplace in the bottom picture. In the top picture, the kitchen is to the right and the bathroom and bedroom are to the left. I know the coffee table is too big for the space, but we host game nights with friends pretty often so it comes in handy. In the top picture, we’ve placed a desk inside the wall of closets with a sliding mirror door. We’re planning on replacing the round table with another desk (or possibly making a 2-person long ikea hack desk).